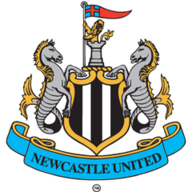 Newcastle halted Leicester's resurgence under Brendan Rodgers and eased any relegation worries with a deserved 1-0 victory on Friday Night Football. The Foxes were looking for a fifth Premier League win in a row but were subdued by Rafa Benitez's well-organised side, who are now 10 points clear of the relegation zone. Ayoze Perez scored the winner in the 32nd minute when he headed in from Matt Ritchie's cross. Newcastle forward Salomon Rondon had earlier hit the bar with a curling free-kick while Jamie Vardy spurned Leicester's best chance in the 80th minute when he scooped over from an excellent position in the box. Catch Leicester's James Maddison on Soccer AM on Saturday. Watch on Sky Sports Premier League, Sky Sports Football and Sky One from 10am. With four games left to play, victory should ensure Newcastle's safety in the Premier League for another season while Leicester could slip down to 10th if results go against them over the weekend. 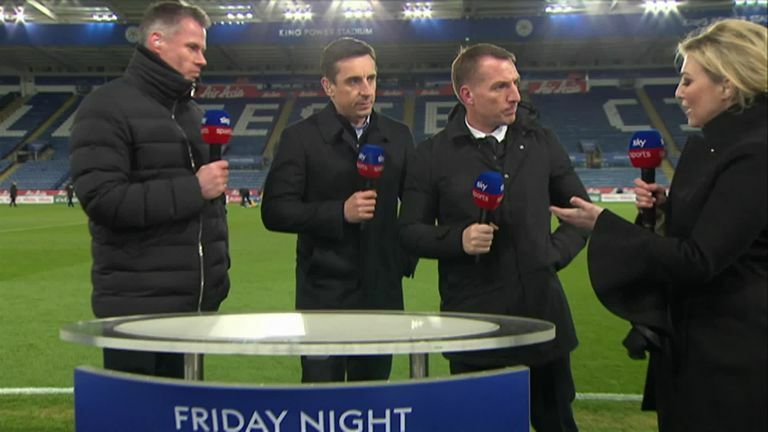 The Foxes had been revitalised since Rodgers' arrival in late February but they were kept quiet by an excellent away performance from Newcastle. The visitors had the better of the first half and went close to taking the lead in the 15th minute when Salomon Rondon curled a free-kick against the bar from 25 yards out. Ben Chilwell tested Martin Dubravka with a low shot in the 22nd minute, but otherwise Leicester were sloppy in possession and created little against an organised defence. Take the Sky Sports Football VAR survey! The visitors broke the deadlock when Ritchie swung in a cross from the left and Perez got ahead of Wes Morgan and headed past Kasper Schmeichel. Leicester struggled for a response and continued to be kept at bay by Newcastle after half-time. When the Foxes tried to raise the intensity they were almost caught on the counter as Perez swiped at a shot in the box and was then denied at close range by Schmeichel after jinking past Ben Chilwell. Harry Maguire replaced Caglar Soyuncu at centre-back for Leicester while Javier Manquillo and Paul Dummett started for Newcastle in place of Florian Lejeune and DeAndre Yedlin. Leicester finally created a clear opening in the 80th minute when Youri Tielemans slid a pass through for Vardy, but he scooped the ball over the bar with only Dubravka to beat. That was to be Leicester's best chance of equalising as Newcastle held out for a vital victory. Newcastle have won back-to-back league visits to Leicester in the top-flight for the first time since September 1959 under manager Charlie Mitten. This was Leicester City's eighth home league defeat of the campaign, their most in a Premier League season at the King Power Stadium since it opened in 2002. Only in 1994-95 (10) and 2001-02 (9) have they lost more home Premier League games in a single season. Newcastle have now picked up 16 points away from home in the Premier League this season (P17 W3 D7 L7), as many as they earned in the whole of the 2017-18 campaign on the road. 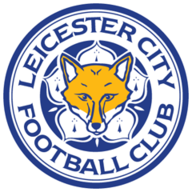 Leicester City completed 649 passes in this match, their highest total in a Premier League game since 2003-04 (when Opta began recording this data); indeed, three of their four highest successful pass tallies in this time in the division have been recorded in their six fixtures under Brendan Rodgers. Ayoze Pérez has been directly involved in four of Newcastle's last six league goals (three goals, one assist), scoring three of their last five. Ayoze Pérez's opener for Newcastle was his seventh Premier League goal of the season, but the first to come away from home. Since his debut for Newcastle at the start of the 2016-17 Championship season, Matt Ritchie has assisted 17 league goals for the club, at least four more than any other player in that time. Brendan Rodgers: "It was interesting to watch the team because it is the first time I have really seen us in this type of game where we have to break them down, and I think it's an area where the team has struggled but hopefully in time we will get better at that. There are lots of things for us to work on and analyse and we will be better for it." Rafa Benitez: "It was massive for the team. You have to give credit to the players because we are working so hard. We were playing against a good team, with ability. We needed to do almost everything perfect and we were very close. We had two or three counter-attacks we could have done better but with this commitment from the players and from the fans it's easier." As well as producing a fine finish to convert Ritchie's cross, Perez was a constant menace to Leicester's defence, particularly in the second half. He came close to scoring a second when he jinked past Chilwell, only to see his shot saved by Schmeichel. Leicester travel to West Ham next Saturday before hosting Arsenal on Monday Night Football on April 29. Newcastle host Southampton next Saturday and then travel to Brighton on Saturday, April 27.